50' of water frontage on Moon Lake. Front half of lot is in "X" flood zone and buildable. Not far from Moon Lake Park with boat launch, fishing pier, beach for swimming, basketball court, playground equipment, pavilions for picnicking and grills. Bring your house plans. No utilities on lot, requires septic and well. Owner financing available to WELL QUALIFIED buyer. Minutes away from the Suncoast Highway for easy commuting. Moon Lake Rd to Terra Ceia Ave to Smokey Lake Loop to Ozona St to Lantana Ave to Paran St to Moon Lake Cir. Rt side of road west of 12514 Moon Lake Cir. 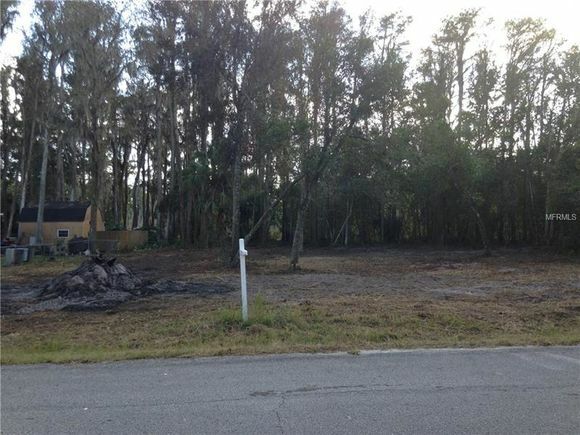 The details on 0 Moon Lake Cir: This land located in Moon Lake Estates, Moon Lake, FL 34654 is currently for sale for $29,900. 0 Moon Lake Cir is a – square foot land with – beds and – baths that has been on Estately for 6 days. 0 Moon Lake Cir is in the Moon Lake Estates neighborhood of Moon Lake and has a WalkScore® of 7, making it car-dependent. This land is in the attendance area of River Ridge High School, River Ridge Middle School, and Cypress Elementary School. Listing Courtesy of: MFRMLS and COLDWELL BANKER FIGREY&SONRES.